To access a history of invoices sent to a customer, follow the steps listed below. 1. Click on the 'Customer' icon in the upper left. 2. 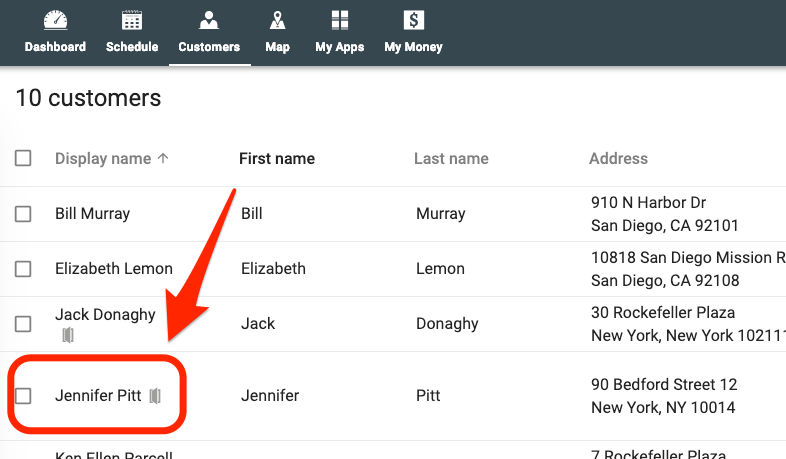 Select the customer whose billing invoice history you would like to see. 3. Click 'Billing History' underneath the customer's name. 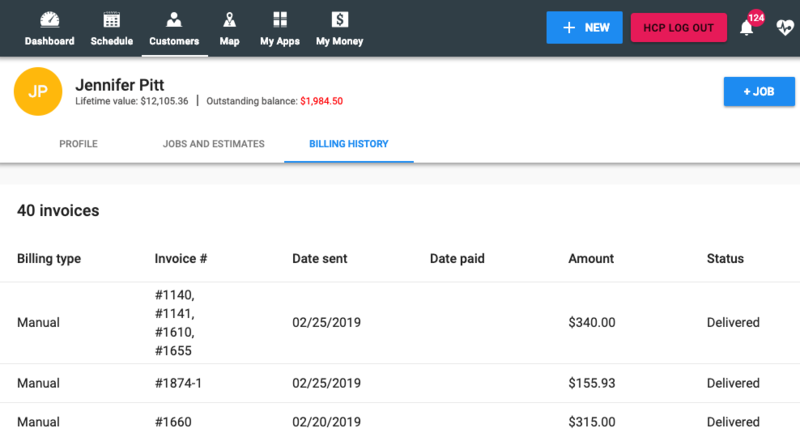 In this section, you will see the billing invoice history with categories displaying whether the invoices were sent as part of an auto bill or manually, the invoice number(s), date sent, date paid (if applicable), the amount, and status.